So the Michael Jackson deluge didn't quite materialise in time for Sunday's UK top 40 chart, although this could all change next week. "I don't understand why you're number one"
Back to number ones. David Guetta was no.1 last week with "When Love Takes Over" featuring Kelly Rowland, which is a great dance track. And by a French act too! Apparently he was the first French act to reach no. 1 in the UK since Modjo (which was also a great dance act - I loved their album). Anyway I digress...David Guetta's released a lot of quality dance music over the last few years so he finally deserves a no.1 at last. I was disappointed by the poor chart showing of Little Boots' "New In Town". She may be yet another one of those over-hyped female electro acts, but I think she actually deserves her success, as her album is full of memorable pop songs. (I'll get round to reviewing it here someday). Maybe the follow-up "Remedy" will do better? That spin-off show "Private Practice" (picture courtesy of ABC) is also back and its season premiere was wedged in between the final two episodes on Living last week. Strangely enough, it was a slightly disappointing opener, although I really enjoyed the first season; hopefully it will get better. 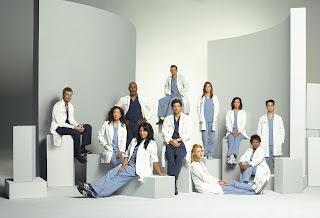 It's a more lightweight frothy alternative to "Grey's", but like all these hospital/clinic dramas it has no credibility - does a hospital or clinic really exist with all those doctor/doctor romances going on? One American series which I won't be revisiting is "Army Wives" on Living. I liked season one, but the first three or four episodes of season two were so dismal and depressing that I couldn't take any more and stopped watching. I know the subject matter is no fun, but a little lighter touch wouldn't go amiss. "90210" finishes tonight on E4 and I'll probably watch this tomorrow. Strangely enough I've enjoyed this updated version of one of my old early 90s favourites, it's still gloriously cheesy escapism. My favourite character is Erin Silver, played by Jessica Stroup: she acts everyone off the screen in every scene that she's in and I hope we see a lot more of this fine young actress. Elsewhere....My "Hollyoaks" backlog is going so far back that I've probably got about 3 weeks worth of episodes to watch. My enthusiasm for the show is slightly waning, I admit. As usual, after a big story (Warren was killed in the fire in The Loft, and Justin headed off into the sunset in a car with Russ who abducted his son...just another day in that sleepy little village!) the show has struggled to get back on track. "Coronation Street" meanwhile had a spell when it was good, but two things have spoiled it recently - any scene with David Platt in it, and the ludicrous Fiz and John Stape storyline. No, make that three things: Rosie Webster. It's almost the end of June - can't believe we are halfway through the year already! I've been checking my list of favourite songs of the year so far and my list already has 40 songs in it. Only 10 of the songs have been released in the UK; and some of these songs are likely to drop out of the final listing as some (hopefully better) European tracks enter my chart over the next few months. I'll begin unveiling the 2009-50 from Thursday 19th November - two tracks per night, you know the formula by now! Milow sits at the top of this week's Sverige Topplistan having knocked Alexander Rybak's ESC-winner "Fairytale" off the no.1 spot. "Ayo Technology" is still dominating the European singles charts - I wonder if it will ever get a release in the UK? Does anyone know? ESC runner-up Yohanna is still at no.3 with "Is It True" - this has also been a very popular song, long after the contest. 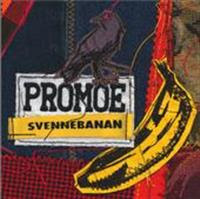 Other Swedish acts in the top 10: Promoe, whose very catchy "Svennebanan" is probably going to be around for a long long time and will be one of the biggest summer hits over there; and Dead by April's rock hit "Losing You". 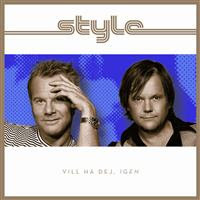 Reunion-mania doesn't seem to be restricted to the UK or USA - some Swedish acts are at it too, like Style - they were big in the 1980s and now they're back with "Vill Ha Dej, Igen" the title is a nod to one of their hits but it's actually a new song featuring the distinctive vocals of Christer Sandelin. Anders Fernette is still in the top 10 with his cover version of "Hungry Eyes" whilst Elin Ruth Sigvardsson has enlisted Lars Eriksson for her top 10 hit single "Love". Other Swedish acts in the top 20 this week: Darin, Bad Influence and Niclas Wahlgren. 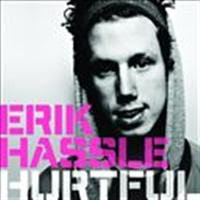 Erik Hassle is still in the top 20 with "Hurtful" which has been going up and down the top 40 chart in recent weeks. His debut album will finally be released in Sweden on 19th August and has already received much acclaim in blog-land. "I'm just in awe of what's in front of me"
Firstly, can I just say that this album review is 6 months late, as I ordered the album back in January and it was delivered on its initial release date: but due to circumstances, time went on and one month turned into another...so here we are at the end of June 2009, with EOTS finally having broken into the UK singles chart with "We Are The People" so I thought it would be a good time to publish my review. Better late than never. The unique selling point about this Aussie duo is that they neither look, nor sound, like anyone else. They have a distinctive image, which once seen will never be forgotten. Their music is almost always compared to another duo who achieved fame over the last 12 months, MGMT, but in my opinion EotS are much much better. The main thing about this album - dare I say a stumbling block - is that the first four tracks "Standing on the Shore"/"Walking On A Dream"/"Half Mast"/"We Are The People" - are so stunning that they overshadow everything that follows, to such an extent that it could be described as an album of two halves - the outstanding first four tracks are probably the only ones you will need, and if they are to define EotS' career, then that would be a fine quartet to remember them by. The lyrics of "We Are The People" make reference to 1975. There is perhaps a retro feel to some of EotS' music which sounds as if it could have come from that time, and that's maybe what makes it special for me. I'm really glad this song made the UK top 20 - but I was also pleasantly surprised too, that something of such considerable quality could break through into a chart mainly consisting of dire tedious rubbish. If you do manage to get beyond the first four tracks, then well done. The bad news is that there is nothing to match their greatness - although "Delta Bay" is weird and wonderful with its falsetto vocals; instrumental "Country" is reminiscent of the Twin Peaks theme (remember that? ); "Swordfish Hotkiss Night" has the duo channelling their inner Prince; and closing ballad "Without You" definitely sounds as if it was lifted off an 80s film soundtrack. Empire of the Sun is a unique act with lots and lots of promise for the future - they've delivered a great (if uneven) album but if they keep on developing their musical vision then they will become a real force to be reckoned with. It's Glastonbury time again, so it's a bit of a telly marathon for me this weekend....last night I was channel-hopping through the BBC channels covering the music festival and was very lucky to come across BBC4's coverage of The Specials set on the Pyramid Stage. Their set was the highlight of the festival for me so far. I didn't see much else apart from bits of Little Boots, VV Brown, Ting Tings, and notably Lady GaGa - I never thought I'd see the day when someone like her would wow a festival crowd, but that's indeed what she did do. Neil Young headlined last night, but I gave him a miss as he's not my cup of tea. Tonight: Bruce Springsteen, Kasabian, Franz Ferdinand. Off to set the video....! I woke up this morning to the news that Michael Jackson died yesterday, aged 50. He lived his life in a big, bold, bizarre and controversial way and the more I think about it, it's not so surprising that he died so young. He was probably the first worldwide megastar of 'our' generation, and the first to leave us. Predictable things followed....notably those phoney showbiz obituaries, and his songs were, unsurprisingly, all over the radio. Everyone's talking and writing about him today. I don't have anything new, or original, to add. All I will say is that MJ made two fantastic albums which still sound so fresh today - "Off The Wall" and "Thriller", and nothing recorded after them came anywhere near their greatness. As a performer, his influence lives on in many of today's artists. Just like Elvis and John Lennon before him, Jackson's records will sell again in their millions -so you can expect every top 40 singles and album chart in the world to be dominated by him this week. "Allein Allein" finally getting a UK release! I've just been to the BBC Radio 2 website (!) to check their weekly playlist and I found out that next week "Allein Allein" by Polarkreis 18 will be their 'Record of the Week' and the song will be released on 27 July. Hopefully it will be a big summer hit! So I finally got my computer problems sorted out last night and was able to watch the clips of "Lotta på Liseberg" which launched on Monday night, and then the season premiere of "Allsång på Skansen". And the winner is....? Well, the people (OK the Aftonbladet readers) have spoken, and there's a clear winner: the established summer favourite, SVT's "Allsång på Skansen". Lotta Engberg kicked off with a couple of singalongs including "Välkommen till Göteborg" which I guess was their answer to "Stockholm i Mitt Hjärta". She appears to be an enthusiastic enough hostess, but as I watched the show I couldn't help but get the feeling that this show is just a (slightly inferior) Allsång-copy, and there's a bit too much of Lotta in the show and not enough of the other guests, which wasn't helped by the commercial-breaks cutting out their extra songs which were only available later at TV4's website. Christer Sjogren - his "Bossa Nova Baby" was way off the cheese-scale lol but I liked the dresses the girls were wearing, and as for "I Love Yoo-rup", well this song came into my head at work today despite my best efforts to hate it! Ola - "Sky's The Limit" was ok on first listen and I think it'll grow on me, although I can't really say the same for his new look though. Yes I did say that, and you know how much I adore my curly-haired boys...! Brolle - complete with his new trademark big glasses - is going through a phase. Last week it was Buddy Holly (on Sommarkrysset) this week Elvis: he's definitely going back to his rock n'roll roots. If "Lotta..." is a new show which needs to settle and grow into its own skin, "Allsång" is the daddy. The stunning Stockholm backdrop, with the Viking Line ship in port, just sums up a Tuesday summer night for me. The minute "Stockholm i Mitt Hjärta" starts up, that's me hooked. And so it was yet again this week. Tomas Ledin proved that he can still keep the crowd happy, whilst Henrik Dorsin had everyone singing along with "Tingeling" (I love this - I know I shouldn't but I do) and then Måns Zelmerlöw completely set the standard for the rest of this summer's series. Ladies and gentlemen, may I present the future king of Swedish light entertainment. He is (rightly) being acclaimed by the Swedish press for his performance this week - and also putting forward his credentials as a future presenter of the show! One thing's for sure: he's a better singer than Anders Lundin. After watching both shows I'd have to award round 1 to Allsång: more natural, less forced and just an overall better product. Having said that though, I'm glad both of these shows exist: there is no equivalent here in the UK (it would be considered far too 'uncool' sadly) and I think there's just something really nice about getting people of all ages together in the open air in the summertime to sing along and have some fun. Someone please please please upload this show (and Sommarkrysset for that matter) to YouTube, the sooner the better. Tack. EDIT 23.06.09: Black mark to TV4 (part 2): Although all artists sung two songs on the show, Swedish TV viewers only got to see one song each - as ad breaks were shown during the other song. Understandably, the Swedish press and public are not too happy about this fact, and I know that the 'extra' songs can be seen at TV4's website (which isn't much consolation as all you get is that little circle going round and round) anyway TV4 needs to get its act together and broadcast all the songs in future shows. Hold On - Lazee featuring Neverstore: I know I wasn't too kind to this band on this blog in the past, but with this song I take it all back. A fine fusion of rap, dance and indie/guitar style and the end result is quite mesmerising. Bring on the Swedish Invasion! Untouched - The Veronicas: there's something quite addictive about this song - a UK top 10 hit in recent weeks although I've never heard it once on the radio. Girlie pop-rock it may be, but it has an edge and urgency about it which Kelly Clarkson & co. just don't have. Fire - Kasabian: I still like this, and will need to get round to hearing that album in full! Touch You Right Now - Basic Element: music to dance around the room to. Skylark - Körsbär/Karlsson: unreleased but streaming over at their MySpace (www.myspace.com/korsbarkarlsson) this is an absolute treat. Jeppe has just the most beautiful voice and he sings like an angel. Click/New In Town - Little Boots: I wanted to file her away in the hype-over-talent section but I've been pleasantly surprised by her poptastic debut album - review to follow here soon. Pop fame, I think you will agree, is fleeting. Even more fleeting is Idol contestant fame, but here’s one who has reversed the trend. Winning "Let’s Dance" also helped of course, combined with a crucial appearance at Melodifestivalen in 2007 and a return to the contest this year. But in the meantime, he’s still hot pop property and to prove it, here’s his second album. "MZW" kicks off with "Hope and Glory", his Melodifestivalen 2009 entry which was (IMHO) cruelly robbed of a place in Moscow at the last minute. It’s dependable Fredrik Kempe schlager pop although is not really reflective of what’s to follow. There is a more contemporary sound on the album which at times verges upon the Ne-Yo/Chris Brown r’n’b pop style which has been popular over the last year or so. Let’s just say on first listen I was a bit worried about this, as "Freak Out" and "Find Love" seemed to go down that road, yet the difference is that these songs have grown on me over time in a way that those other examples of r’n’b pop could never do. Although "One Minute More" and "Impossible" haven’t grown on me, I have to say :( these are probably my least favourite tracks on the album. Surely "Rewind" will be a future (autumn) single with its "rewind/rewind/back to summertime" hook. It’s a very good example of contemporary pop which he does very well. "Forever" meanwhile immediately jumped out and was an early favourite - think catchy schlager-pop-meets-Basshunter (!). "Home" is another particular favourite of mine - it grabbed me from the beginning with its ‘Black and Gold’-style backing track and again it’s a very strong song indeed with hit potential. "A Stranger Saved My Life" is also a rather nice ballad. Current single "Hold On" closes the album - the lyrics are a little bit predictable in a ‘make the world a better place’ kind of way, but he manages to avoid being too sickly-sweet. I don’t understand how this was chosen as a single, though? Maybe it’s just to show another side of Måns I guess, but there are many other tracks which I’d have chosen over it. Måns has also co-written all of the songs on the album and has been more involved in its creation this time - proving that he’s just not another pretty-boy pop singer. "MZW" is a very good album, but the whole is better than the sum of its parts, whereas his debut was the exact opposite for me. There is no "Cara Mia", "Brother Oh Brother" or "Work Of Art" which will be played to death on my iPod in the way that those tracks were, but don’t worry, I can still see myself playing this album for a long time to come. The fallout from Britain's Got Talent continues as the media is now giving us daily reports of Susan Boyle's meltdown on tour, resulting in her being unable to appear every night. I don't know whose idea it was for this lady to enter BGT in the first place - but whoever it was, they should share the blame for what has happened to her. Yes she has a very good singing voice, but it's very clear by now that the limelight is not the most appropriate place for her to be. For her own sake, she should take some time out, go home and chill with her cat. At which time the media should also leave her in peace. Wimbledon starts tomorrow, and as usual I won't be watching as I lost interest a long time ago, around the time of John McEnroe's retirement :( Anyway, expect Murray-mania, a bit like Henman all over again, the only difference being that Murray might have a realistic chance of winning. It's Fete de la Musique in France today, which I always thought was a great idea - 21st June every year brings a national celebration of music across France. French TV usually broadcasts a big outdoor concert from Paris and this used to be televised on TV5 a few years ago then they stopped doing this for a couple of years. I checked TV5's website and it looks as if it's back on this year, so I'll set my video later tonight and will review the show on here in the next couple of weeks. This year's line-up of 30 French and international stars includes Calogero, Jason Mraz, Eros Ramazzotti, Milow, Christophe Willem, Seal, Alesha Dixon and James Morrison. Both Anders Lundin and Lotta Engberg are playing it down, but the Swedish tabloid press is enthusiastically talking-up the impending Allsång-war between "Lotta på Liseberg" (starting tomorrow night on TV4) and "Allsång på Skansen" (Tuesday on SVT1), Lotta is firing out of the blocks with Nanne Gronvall, Christer "I Love Yoo-rup" Sjogren and something which is more up my street - Brolle and Ola. As if that's not enough Swedish summer TV entertainment, "Sommarkrysset" is also back on TV4. Talking of Brolle, he appeared on last week's season-premiere of the show doing a tribute to Buddy Holly! Unfortunately - I've said this before and I'll say it again - TV4's webstream gives me internet-rage as it takes so long to get the video clips going (and this is with super-duper fast Broadband too! ), unlike SVT Play which I never have any bother with. So get your act together TV4 because I want to watch Sommarkrysset and Lotta without any problems!!! Allsång kicks off its new season on Tuesday with special guests Tomas Ledin, Henrik Dorsin, Måns Zelmerlöw, Anna Maria Espinosa and Owe Thörnqvist. 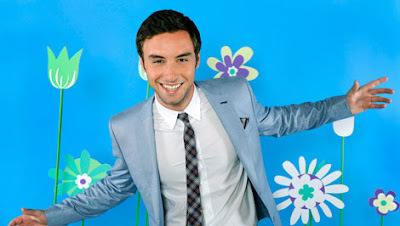 Not that we need a reason for a gratuitous pic of Måns of course....here he is in a publicity pic for this year's Allsång, picture courtesy of www.svt.se. Second album time for (arguably) the most inventive and original of France’s reality TV-created pop idols. "Inventaire", his debut, took us on a journey from the wonderful bright pop of "Elu Produit de L’annee", "Double Je" and "Kiss The Bride" to the quite-frankly-bonkers "La Tortue" and provided much to enjoy along the way. To say that "Cafeine" is one of my most-awaited albums of 2009 is an understatement. My worry with most second albums is that they inevitably lead to disappointment, but this is still well worth a listen. "Cafeine" is, if you’ll pardon the coffee-pun, less "instant" than Christophe’s debut, and you may not enjoy some, any, or all of it on your first hearing. First single "Berlin" for example struck me as a good but not great track on first listen, with its falsetto vocals over the bleeping electronic background. Several listens in and I’m now firmly hooked. It’s certainly a very "contemporary" sound as that electro-pop style is in fashion at the moment. "L’Homme en Noir" is an atmospheric opening, and builds into a very ‘warm’ sound if you know what I mean. "Sensitized" is my favourite track from the album at the moment. A bi-lingual duet with Kylie Minogue, it’s a cover version of a song from her last album, which I wasn’t familiar with, but I was very familiar with the "Bonnie and Clyde" sample that the song is based around. The frantic "La Demande" perhaps could have done with more of a tune, but "Entre Nous et Le Sol" redeems things, slows down the pace and again has a lovely atmospheric chillout vibe which kind-of reminds me of Etienne Daho, which is only a good thing. The tempo’s slightly raised on "Plus Que Tout" which is a little mid-paced and r’n’b in places, but it has a decent pop chorus and probably wouldn’t have sounded out of place on Mans Zelmerlow’s new CD, for example. 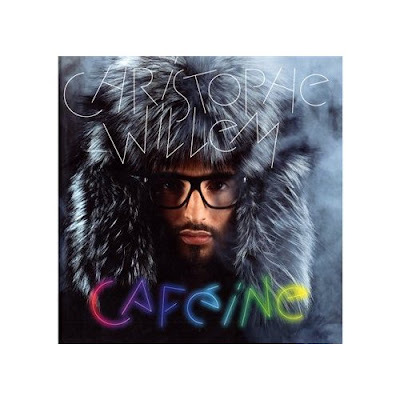 Christophe indulges his slightly crazy side on "Coffee" which is one of the album’s most distinctive choruses and the whole thing is very addictive. A bit like coffee itself dare I say! And you won’t be able to get that "no you can’t stay for coffee" sample out of your head. "Fragile" is a more traditional ballad, and he sings very well on it. Another very good track, and I’m not a fan of ballads. "Trash" is like Christophe’s little musical tribute to Prince and the Revolution. A duet with Skye, it’s very catchy and danceable, and trash it most certainly isn’t. "Tu Te Fous de Nous" meanwhile relies a little too heavily on the electronic beats and is one of the poorer tracks. "Yaourt & Lavabo" is another atmospheric ballad although it’s not as good as "Fragile", needless to say I’ll probably change my mind! "Si Je Tombais" leaves the electronic sound behind and is just piano and vocals to bring the album to a graceful and dignified end. Unless of course you’ve got the special edition of the album, which has alternative versions of "L’Homme en Noir", "Berlin" (including an English version no less, called "Lost In Berlin" - although I much prefer the French version). "La Demande", "Si Je Tombais"...worth getting if only to compare the different versions of the songs. In typical second album style, there is nothing on it as good as the aforementioned classic trilogy of "Elu Produit"/"Double Je"/"Kiss The Bride". However, it’s bold, different and experimental and as French pop stars go, he certainly has a very distinctive musical style and you get the feeling that he makes the music that he wants to make, rather than what someone thinks he should make. Therefore if you’re looking for instant pop satisfaction you might be a little disappointed, but if you take the time to get to know this album, it will bring rewards. Jim Diamond previously had hits with PHD - "I Won't Let You Down" http://www.youtube.com/watch?v=R5prT2qiiWY which for some reason always reminds me of listening to Irish pirate radio stations in the mid 80s (!) and "I Should Have Known Better" http://www.youtube.com/watch?v=-4A4UnFi2C8 all together now "I-yi-yi-yi-yi....."
Anyone for a bit of house music from 1989? Why not! I always liked Adeva's cover version of "Respect" which I used to dance around to 20 years ago, and wouldn't need much persuading to dance around to right now, if I'm honest. ...and two days ahead of schedule too! Yes I've missed blogging on here (although Planet Salem has maintained reasonably normal service!) anyway I've just been "spring cleaning" (ok then, "summer cleaning") at EuropeCrazy HQ, along with working my way through my backlog of CDs and DVDs - only to buy some more last weekend, I guess I'll never learn....! So there are several album reviews, chart updates and random other things on the way, but it's that night of the week again so let's get Retro Saturday under way once more. ...so as Cliff Richard might have sung "no more blogging for a week or two". I've decided to take a little bit of time-out from doing this blog for a couple of weeks (unless there are some exciting, urgent updates about stuff which I need to write about). For once I'm not going away, but I just need a bit of time to do some stuff at home and there's also a massive pile of CDs to listen to and DVDs and TV shows/films which I've taped off the telly, which I'm going to make an effort to catch up on, as staying in would appear to be the new going out as we're due a spell of horrible weather over the next few days. Unless we do get some good weather, in which case I'll be out and about! I had planned the blog's "big relaunch" for when I returned from Dusseldorf but that never really happened, so I'm trying another relaunch date of Monday 22 June when this blog will be back with a few reviews and articles which I'll be working on during the blog-break. 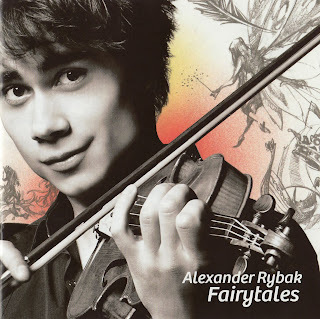 So Alexander Rybak’s "Fairytale" got the biggest vote-total in Eurovision history just a few weeks ago and has gone on to become a massive international hit - even breaking into the UK top 10 for one glorious week. But when it comes to a rush-released debut album, what can this young man from Norway bring to the table? Answer: his very own brand of fiddle-driven folk-pop which conjures up visions of nights by the fire in a little wooden house in the Norwegian countryside. Certainly that’s the vision I got with the bouncy opening track "Roll With The Wind" and its catchy "i-yi-yi" hookline. The lyrics of "Funny Little World" may have spookily predicted his rise and rise to fame - "Suddenly I’m famous and people know my name/got a thousand girls just waiting..." Anyway this has a similar vibe to Jason Mraz’s "I’m Yours" going on, and it’s already topping the chart in Norway so I guess it’ll go across Europe as the follow-up single? It’s off the cheese scale, but it’s also extremely charming. On big hands-in-the-air ballad "Abandoned" and epic number "13 Horses", Alexander sounds as if he’s channelling A-ha at times, the latter is perhaps a more daring and mature glimpse of the performer this young man can become if he continues with his musical career. Instrumental "Songs From A Secret Garden" shows off his considerable ability as a violinist - and in a unique coincidence, is a cover version of a tune by Secret Garden, the last Norwegian act to win the Eurovision Song Contest. It may not be to everyone’s taste, but I found young Mr Rybak’s debut to be a simple and refreshing alternative to what’s around at the moment. I can imagine this having wide appeal across Europe: are we witnessing the birth of a new international star, or just a one-hit wonder? Only time will tell. And so to our final day in Dusseldorf. As our flight’s not leaving until this evening it gave us the opportunity to spend some more time in some of our favourite Dusseldorf hangouts as well as exploring some other streets between the Altstadt and Konigsallee. On this holiday we haven’t covered almost every area of the city, the way we usually do, but it has been nice to slow down the pace. We stroll down to the riverside and spend some time sitting watching the Rhine, which is a busy "working river" with all that container traffic making its way up and down this long waterway. I don’t know how long spargel-season lasts, but almost every restaurant has some asparagus dish on the menu. (It was the same in Cologne yesterday). We have lunch at a little Italian restaurant down a side street off Berger Strasse, and I have an asparagus risotto, which is very nice indeed. We walk from Heinrich Heine Allee to Konigsallee, where the mustard-jacket count dramatically increases. For men of a certain age and annual salary, beige/mustard is the new black. Olive green is big here too. And his and hers matching raincoats! Although the raincoats aren’t required today, as it’s another lovely day. But all good things have to come to an end and it’s time to head back to the hotel, collect our luggage and take a taxi to the airport. In a strange twist, whilst we were getting ready to take off, the skies became darker and the rain came on. It was as if Dusseldorf was saying goodbye to us, you’re going home, back to reality, back to swine flu and Susan Boyle, back to the cold rainy weather......now when’s our next holiday???? Catch-up time this week on the blog so I thought it was time to finally finish off my holiday diary. Thursday morning. The blue skies finally came to Dusseldorf. Not a cloud in the sky this morning and no sign of rain. Today’s weather forecast says 20 degrees. A very nice day for a trip out of town! Before the holiday we had planned to return to Cologne - our 2006 summer holiday destination - as it is only 30 minutes by train from Dusseldorf. Now you know that there are many stereotypes about Germany and I like to hold the country up as an example of how a country should be run. The trains always run on time, for example. If a train is due to leave at 11.30 am, then it does, and not a minute later. If we needed any proof that the world is in terminal decline, look no further than Dusseldorf train station this morning. The 11.30 am train to wherever-it-was via Cologne, was delayed, and it didn’t appear before 12.00 when we got on the next train which was going to Koblenz. Arriving in Cologne is a feast for the eyes - the first thing you see when you come out of the station is the massive Cologne Cathedral (part of it pictured above - I could never fit it all into one picture, it's so massive) which looks even bigger than I remember it from last time. We make our way down to the riverside (pictured below) and have lunch outdoors at one of our old faves, the Lowenbrau. It’s a warm, sunny day and I’ve got my shades on! Standing room only on a packed (and too hot) train back to Dusseldorf and it looks as if they've enjoyed a nice sunny day too. The good weather has brought the people out tonight, the beer terraces are all open - Uerige is particularly mobbed. Tonight we have an enjoyable meal at La Grappa on Berger Strasse then (quelle surprise) head round to Bolker Strasse to end the evening sitting outdoors at one of the bars, people-watching. 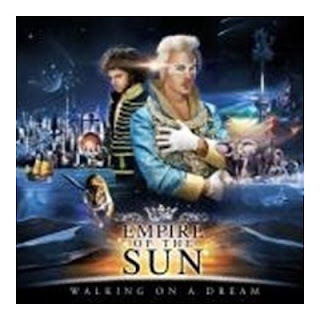 We Are The People - Empire of the Sun: I'm extremely delighted that this is now in the UK top 20 singles chart - some quality at last!! Release Me - Agnes: talking of which, here's another song I like in the UK chart. It has really grown on me. Bluest Eyes - Salem: "Astronaut" is still a consistent fixture in my home and on my iPod. This may be one of the lesser-known tracks, but it has a lot of depth and every time you listen to it you hear something new. Sensitized - Christophe Willem and Kylie Minogue: I wasn't familiar with this track previously (it was on a Kylie album), although I was familiar with the "Bonnie and Clyde" sample. I'm working my way through Christophe's album at the moment and will eventually review it here someday! We Don't Wanna Put In - Stefane & 3G: Disco-tastic and disqualified Georgian ESC entry. Still sounds great. Hurtful - Erik Hassle: is it true that his album release has been delayed till August in Sweden? It's one of my most eagerly awaited albums of the year, if it's anywhere near as good as this song. Nature's Law - Embrace: Something old (ish) which I put on my iPod and played a lot this week. Fire - Kasabian: New album out today - I must check it out. 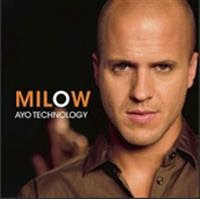 Ayo Technology - Milow: Still a favourite, although I may now give it a rest for a while. Allsång vs Allsång - let battle commence! For this year, TV4 has declared ratings-war on SVT and is launching its very own "Allsång" -"Lotta på Liseberg" which will be broadcast every Monday night from Liseberg in Gothenburg and will be presented by Lotta Engberg. The series begins two weeks from tonight on Monday 22 June and features a cracking line-up of Swedish pop and schlager royalty, old and new...Lasse Berghagen, Charlotte Perrelli, Sven-Bertil Taube, Sanna Nielsen, Thorleifs, Kikki Danielsson, Niklas Strömstedt, Christer Sjögren, Ola Svensson, Bobbysocks (!!! ), Jessica Andersson, Sarah Dawn Finer, Agnes, Sonja Aldén, Sven-Erik Magnusson, Shirley Clamp, Paul Potts (what's he doing here? I don't understand the international fascination with the man), Lasse Holm, Johan Palm, Nanne Grönwall, Scotts, Molly Sandén, Siw Malmqvist, Arja Saijonmaa, Sandra Dahlberg. But most importantly, apart from all of them......Salem Al Fakir will be appearing on the show!!! (Needless to say I've decided this is my favourite Allsång already, although I always have problems watching TV4's webstream - SVT's is much better) anyway that news has completely brightened up my day. Looking at this line up it's apparent that SVT is trying a mix of old favourites with newer acts, rather than just the tried and tested schlager-royalty. They did a similar thing last year and I didn't think it always worked, but needless to say I'll be watching every week. Week one looks like being my favourite - Tomas and Måns - but the other weeks might just offer some surprises. Whatever happens, the viewers will be the winners! It was quite a strange experience to watch an episode of "The Apprentice" live tonight, as I usually videotape it before going out on Wednesday night and then watch it the next night although I know the result by that time so it spoils it a bit :( anyway it was an all-female final this year between tight-lipped grumpy restaurateur Yasmina (she looked completely different and more attractive on those very rare occasions when she smiled) and toothy tie-wearing fembot Kate, with the final task being to create a new brand of chocolates, both of which were either too expensive (Kate) or too substandard (Yasmina) that you wouldn't buy any of them if you were in the supermarket. Above: Siralan and this year's candidates, including winner Yasmina (4th from left) and runner-up Kate (5th from left) - photo courtesy of Sky.com. 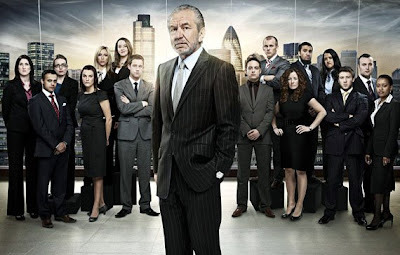 It was a very difficult decision for Siralan to make - he said they were the two best finalists in any series of "The Apprentice" to date - but in the end he chose Yasmina, which was quite a surprising result as we and many others thought Kate had it in the bag. 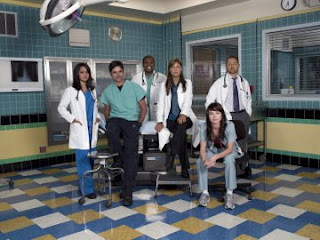 There were few real characters in this series although James will be remembered for having his foot permanently in his mouth; Philip will be remembered for 'Pantsman' (and his romance with Kate); and Ben and Debra will be remembered for taking ambition and self-belief to a whole new level. Ever heard of humility, guys? Here is the video for "Standing On The Shore", which I probably love even more than "We Are The People" . A place in my end-of-year top 5 is guaranteed...! The 80s: I have mixed feelings about this decade. On a life-level, it was probably a decade worth forgetting, but musically it was a little treasure trove if you looked beyond the top 40. Indeed you could say that most of my favourite music of the 1980s didn't get anywhere near the top 40. Fiction Factory will probably be remembered as "one hit wonders" for "Feels Like Heaven" but being totally contradictory as always, I had more fond memories of "All Or Nothing" http://www.youtube.com/watch?v=4RDr2LZeecQ which predictably didn't trouble the top 40, but that doesn't make it any less great. Kihntagious / Citizen Kihn ....oh you get the idea. OK I'm not Swedish (wish I was) but I couldn't let today pass without mentioning that it is Swedish National Day today. So if you're celebrating, partying, eating Swedish food, drinking Swedish drinks, listening to Swedish music, then...enjoy! I'll probably watch SVT1's special show (broadcast at 8pm tonight) later on the internet. Erik Hassle will be one of the guests appearing so I'll try and catch him - I guess he'll be singing "Hurtful"? This radio programme is a unique Swedish summer tradition, this year celebrating its 50th anniversary and it is usually a great honour to be selected to appear on it. The weather is dull and overcast, but dry. Dusseldorf is the kind of city which gets up early - even at 8 am the trams are busy and all the business-types are on their way. The obvious impression I have is that Dusseldorf is very much a business city but it’s also built for fun! Like every other country, Germany loves the movies. And Dusseldorf loves the movies so much that they’ve devoted a museum to it. The Film Museum, situated just behind the river, is spread over 4 floors and covers everything from a homage to famous directors, to costumes, awards, cinema designs, projectors, cameras and old-style film making techniques. Many of the exhibits are hands-on and my favourite interactive one was the ‘blue screen’ used in modern film-making where you can put yourself into any background...or make yourself disappear! The museum was perhaps a little too focused on the early days of film-making with little concession to the modern era, but its attention to detail was faultless. It’s a very good way to spend a couple of hours and I’d recommend it as one of the must-see visitor attractions in Dusseldorf. A lovely lunch (and big portions) at the Libanon Restaurant - we’d never tried Lebanese cuisine before (I can’t remember anyway) and later in the afternoon we’d planned a two hour boat trip down the Rhine. The two hour trip wasn’t going ahead, but was cut to half an hour - I don't know if it was due to the overcast day or being out of season? It still managed to attract a few enthusiastic participants. I love taking these river cruises on holiday, but this was over all too soon. The trip went as far as the Media Harbour, that very trendy part of town with the distinctive architecture*/wonky buildings* delete where appropriate!! Tonight ....oh you’ll never guess :) The answer is Bolker Strasse of course!! This time, the Santiago Restaurant was our destination. Tonight Barcelona put Chelsea out of the Champions League so needless to say the waiters were celebrating! (So were we, as we’re both Barca fans). Roxy - Salem: the video's out, it's fab and funny - little Salem pumping iron with the muscle-men in Venice Beach! - and given the right promotion, this song could be a massive summer hit. Ayo Technology - Milow: it may still seem a bit of a novelty, but it's different enough from the original to have taken on a life of its own. Storm - Osmo Ikonen: discovered this on the 'Speakerbox' singer's MySpace over the past week....he's a very impressive soulful vocalist. Haus am See - Peter Fox: a man inhabiting his very own, distinctive musical genre at the moment. Fire - Kasabian: not quite earth shattering comeback, but a real grower nonetheless, and possibly the only band with the potential to save British guitar-music, assuming it's not too late? When It Was Good - Flipsyde: still a cracker. Love Is Noise - The Verve: for some strange reason my iPod keeps playing this on shuffle this week....I used to love this for a short time, then I got sick of it very quickly, but now it's ok again. Release Me - Agnes: it's Swedish, it sounds good on the radio and it's in the charts!! Love Child - Fibes, Oh Fibes! : one of the best pop singles of this year, and I'm eagerly anticipating their new album. We Are The People - Empire of the Sun: hooray! This is in the UK top 30 singles this week, nice to see some total quality in the chart for a change. One of the best songs of this year, which will figure very highly in my end of year chart, that's for sure. Grey skies and light rain, but it couldn’t dampen our enthusiasm at the beginning of our first full day in Dusseldorf. Thankfully there was more clarity today and I was able to work out how the U-Bahn worked - or more precisely the ticket machine - and we were off to Konigsallee. Talk about ‘conspicuous consumption’ - I’ve never seen a city which flaunted its wealth so much!! We took the opportunity to ‘smell the money’ on our way through Sevens shopping mall as we headed to Saturn, the record shop-meets-electronic-gadget-paradise on the top floor. As mega-record-shops go, Saturn is a very wonderful place, as it’s filled with screens where you can listen to any track from any album stocked in this massive store. My two purchases today were "Stadtaffe" by Peter Fox (one of the biggest albums in Germany over recent months) and the latest instalment of "The Dome" which is like a German version of the "Now" compilation CDs. Faithful travelling companion bought the latest CD by Annett Louisan, whom he discovered on a previous trip to Germany. Konigsallee doesn’t only have some big posh department/designer stores, it’s tree-lined with a little canal running through it...it could be Paris. The wealth-flaunting became a bit oppressive after a while, though, so it was back down to the more comfortable surroundings of the Altstadt and the area around it, where we felt more at home. There is some lovely architecture in this city, and the building above was one of my particular favourites. It's probably a famous building, I don't know, but I just loved the bells. A tried and trusted old favourite for lunch: Maredo on Bolker Strasse (pictured above). Maredo is a German restaurant chain specialising in South American cuisine. Cologne, Berlin and now Dusseldorf - we can’t get enough of the Maredo! Chicken Fuego is fab. More exploring, then a trip to a cafe and back to the hotel to dry off! Lots and lots of German TV channels to choose from on our hotel telly. Thankfully they also had MTV and Viva, the latter is a particular favourite of mine when I’m in Germany. Night-time in Dusseldorf means....the Altstadt :D yes there’s a theme developing already...there’s a little offshoot of Bolker Strasse (I can’t remember the street name) which has a row of Spanish restaurants although these are out-of-bounds as very meaty/fishy. Berger Strasse provides a good selection of restaurants and we dined at one of them tonight and had a lovely meal. and we had a nice time in this big old bar which provided an enjoyable (and rain-free) end to our day. Expressen previously mentioned last month that one of our favourite Swedish pop stars Måns Zelmerlöw is heading for London's West End ....now he has confirmed it himself. In an interview with Expressen, he revealed that he has landed the role of Billy Flynn (the leading man!) in the musical "Chicago". No info yet on when he will be taking over the role (although I would imagine it would be some time next year?). He will be following in the footsteps of fellow Melodifestivalen 2009 finalist Nina Söderquist, who appeared on the London stage in the Monty Python musical "Spamalot"in 2008. Congratulations to Måns, I'm sure he will do very well indeed. Give 'em the old razzle dazzle!! Time for a "Swedish Invasion" update: Agnes entered the UK top 40 at no. 3 yesterday with "Release Me" - and it's no.1 on the UK iTunes chart, which Aftonbladet and Expressen couldn't resist mentioning on their showbiz pages today. I've never really been an Agnes fan in the past but this song has really grown on me now and I think it'll be around the charts for a long time.